The fathers of heavy metal have risen again! Black Sabbath is back with a brand new studio album, with the complete original lineup minus drummer Bill Ward. Although Ward’s jazzy rock style will be missed, Sabbath picked up former Rage Against the Machine drummer Brad Wilk (a worthy replacement) to handle the drums on the record. 13 was produced by the acclaimed Rick Rubin, who has lent his skills to bands such as Slayer, Slipknot, and the Red Hot Chili Peppers. Sabbath is set to tour North America this summer, starting in July, with Tommy Clufetos behind the drums. Queens of the Stone Age return with their first studio album since 2007, …Like Clockwork. Band leader Josh Homme brought in everyone’s favorite rockstar, Dave Grohl, on five out of ten tracks, including the single “My God Is the Sun.” Joey Castillo, who was a full band member between 2002 and late 2012, appears on four other cuts, while ex-Mars Volta drummer Jon Theodore is on the title track. Theodore is currently touring with the group. The largest-scale tour that Paul McCartney & Wings ever undertook has now been remastered and released on DVD. The 1980 live concert film chronicles the band’s 1976 North American tour. 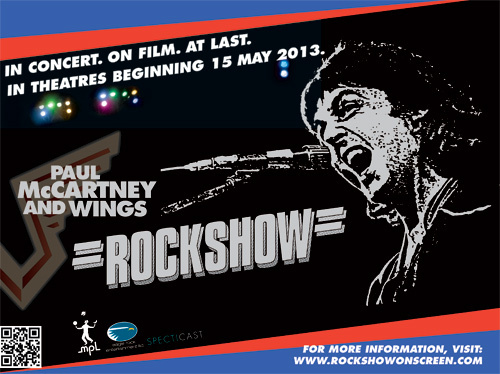 Rockshow has been restored from its original 35mm film and updated for 5.1 surround sound. Wings drummer Joe English can be seen setting the tempo to all of the classic Wings hits. The new album by the Almost, led by ex-Underoath drummer Aaron Gillespie, is out on independent label Tooth & Nail, and is their first since leaving left EMI/Universal. Drummer Joe Musten helps add to the thundering rhythms and big sound of the album, which was recorded completely live and in a single room. Saxophonist/composer John O’Gallagher interprets the work of the composer often referred to as “the father of serialism” on The Anton Webern Project. Drumming duties are handled by the more-than-capable Tyshawn Sorey. Doug Sertl’s Beautiful Friendship features drummer Terry Clarke (Jim Hall, Dave Samuels, Rob McConnell). The jazz trombonist’s latest album was actually recorded in two three-hour sessions that took place in July of 1998. Drummer/composer Jeff Williams’ newest release, The Listener, is a live album recorded at the Vortex club in London. The jazz quartet’s intimate performance took place on their U.K tour in May 2012.